Anyone who attended elementary school in the GTA has likely paid a visit to the Royal Ontario Museum (ROM) on a school field trip. I have fond memories of the egyption exhibit, tapping the blocks in the Tomb of Kitines hoping that a secret door would open to reveal mummy treasure. Last weekend I returned for Friday Night Live @ ROM , which was a very different kind of experience. I felt like I was in some fancy gala at the MET like in the movies, except I only paid $9 admission. There was a live band, mood lighting and a number of food stalls and a bar. With 5 Rom bucks I got myself a beer and began to relax after a busy work week. 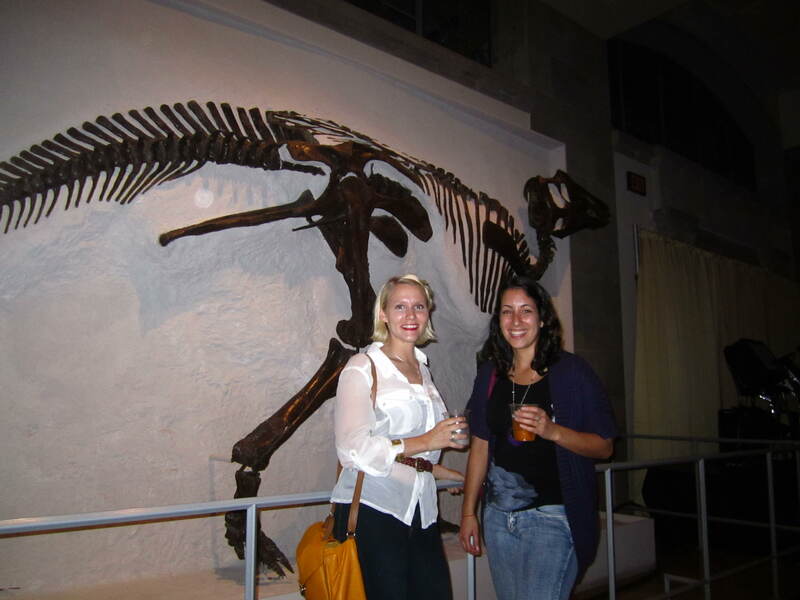 We had access to all of the exhibits, so once we finished our drinks we headed to my favourite, the dinosaurs. The last time I was at the ROM the dinosaur exhibit was closed for renovations, so I was very excited to see it again. We even met the Mayor of London England just outside of the bat cave. I found the whole experience very social way to explore the exhibits. We chatted and joked rather than the usual quiet and reserved attitude when visiting the a museum. We even managed to fit in a little boogie on the dance floor. There is only one Friday Night Live @ ROM event left this summer, so if you are in the neighbourhood, make sure you stop by on June 22 from 6pm-11pm. My hope is that this will become an annual tradition at the ROM.